Keep the spirit of The Popular Mechanicals alive long after the show by making this ridiculous chicken figurine. It can even double as a paltry hat. Show us your eggselent chook! 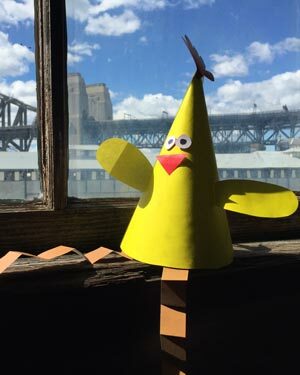 Share your crazy-eyed paper hen with us on social media by tagging @sydneytheatreco or #sydneytheatreco and we might just sent you some chocolate eggs.